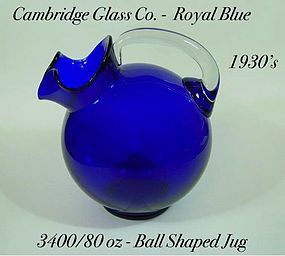 This Cambridge 3400/80 ounce tilted ball jug is Royal Blue in color, and was made in the 1930's. Very dark blue color! Some use marks or scratches on both sides. 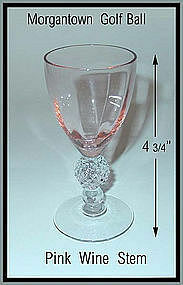 Old Morgantown 1930's Golf Ball stem pink wine glass. 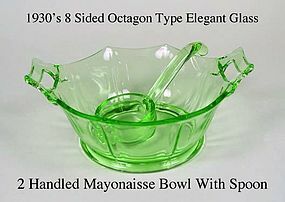 Excellent condition with no damage and no repairs.